Since Harvard Business Review declared the Data Scientist Job as the “Sexiest Job of the 21st Century” back in 2011 – 2012, everyone wants to be a data scientist. But, at present, data engineers are in greater demand than data scientists. 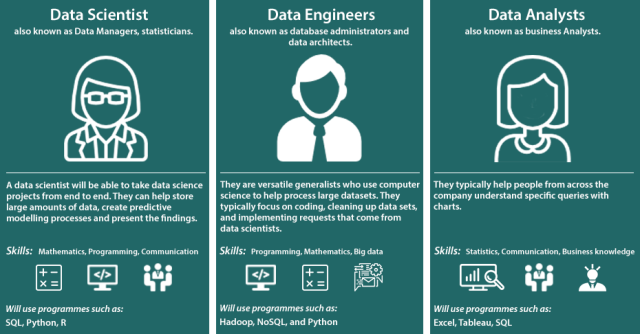 So, who are data engineers and how they are different from data scientists? 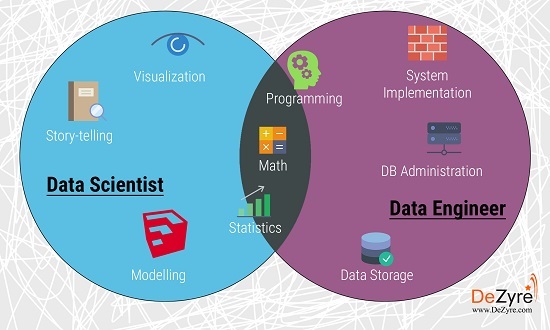 In this article, we will try to decode the basic differences between data engineers and data scientists. As per Gartner, only 15% of big data projects ever make it into production. According to the article by Todd Goldman, one of the key reasons behind the failures is to build a production pipeline, which is one of the primary tasks of a data engineer. 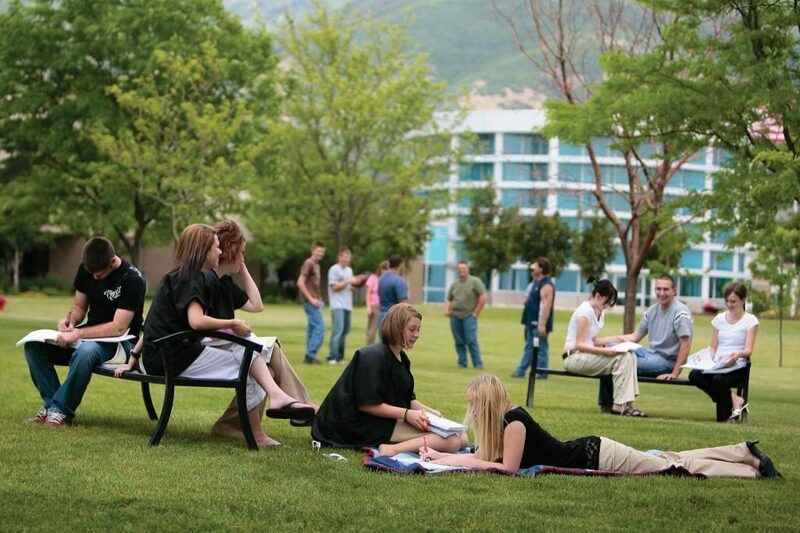 Data scientists get much attention in today’s age of analytics. But, equally important are the roles of data engineers. Data science and data analytics cannot prosper if there is no data engineering workbench. 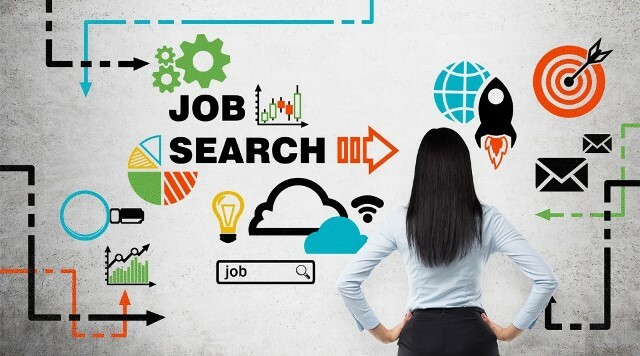 Even according to Glassdoor, the number of job openings for data engineers is almost five times higher than the number of job openings for data scientists. However, as per Editor’s comment on KDnuggets, as of May 14, 2018, there are 2,500 data engineer jobs in the US as compared to 4,300 data scientist jobs. This could be due to the fact that several organizations don’t always (or may be unable to) draw the line between a data engineer & data scientist. Anyway, it’s a fact there are major significant differences between a data engineer and a data scientist. Several reports have also demonstrated that the majority of organizations need more data engineers than data scientists on their team. Now, we will move on to understand what is data engineering and data engineer vs data scientist. Data engineering includes what some companies might call Data Infrastructure or Data Architecture. Data engineers create the process stack for collecting or generating, storing, enriching and processing data in real-time or in batches and serves the data via a middleware for further analysis by other disciplines. Data engineering usually employs tools and programming languages to build API’s for large-scale data processing and query optimization. Specialists who deal with data engineering are also known as Big Data Engineers or Big Data Architects. At the core, data engineers possess a programming background (Java, Scala or Python). 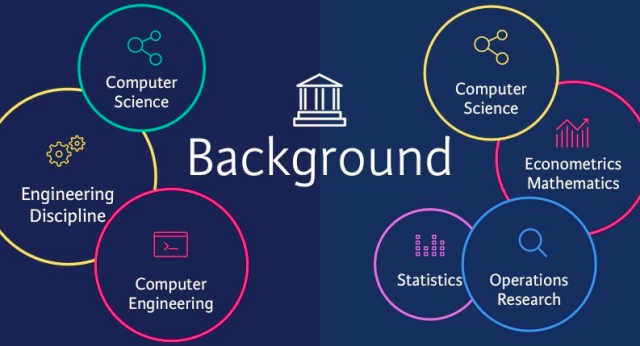 In contrast, data scientists are usually from Math, Statistics, Economics, or Physics background. A data engineer develops, constructs, tests and maintains architectures, such as databases and large-scale processing systems. 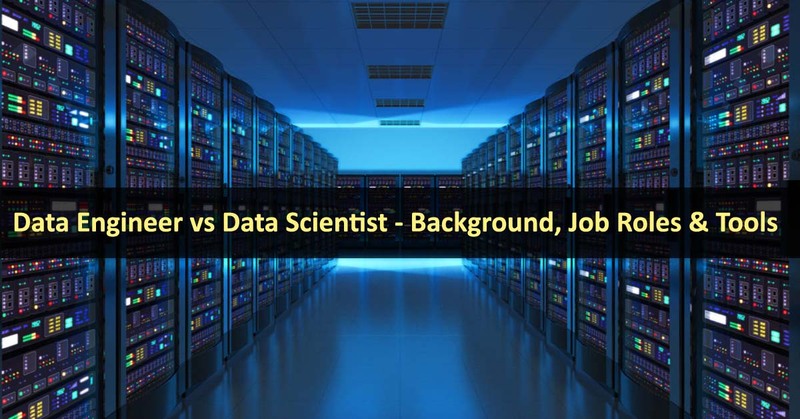 A data scientist, on the other hand, is someone who cleans, massages, and organizes (big) data. On one end, data scientists create advanced analytics; and on the extreme end, they create machine learning models and artificial intelligence. A data engineer deals with the raw data, which might contain human, machine or instrument errors. The data is typically non-validated, unformatted and might contain codes that are system-specific. The data engineer needs to recommend and sometimes implement ways to improve data reliability, efficiency, and quality. A data engineer must understand the various technologies and frameworks in-depth and how to combine them to create solutions to enable a company’s business processes with data pipelines. 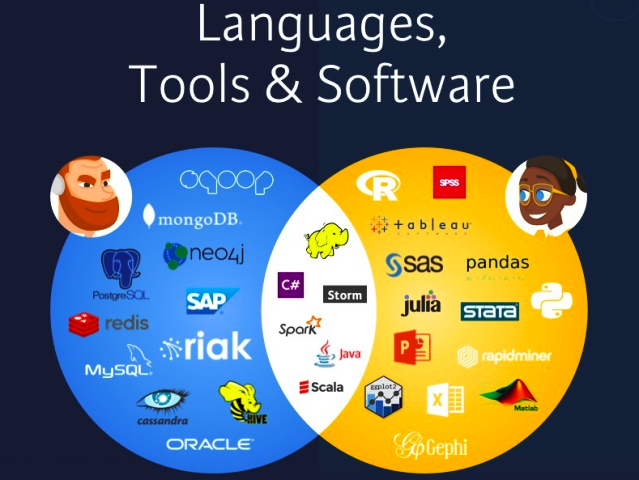 Data engineers employ a variety of languages and tools to marry systems together or try to hunt down opportunities to acquire new data from other systems so that the system-specific codes, for example, can become information in further processing by data scientists. Data scientists will usually deal with the data that has passed the first round of cleaning and manipulation. They use the processed data to feed to sophisticated analytics programs and machine learning and statistical methods to prepare data for use in predictive and prescriptive modeling. 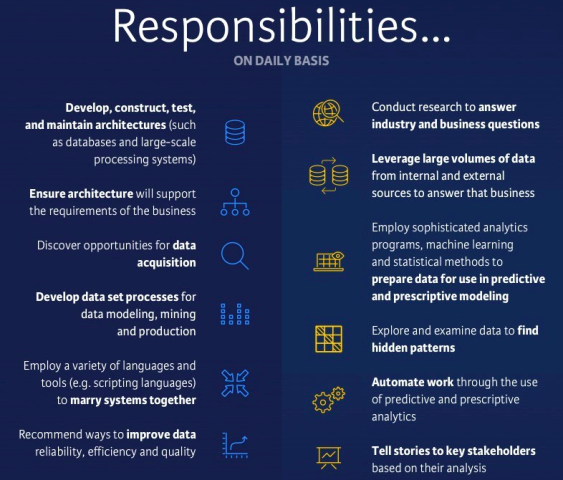 Data scientists leverage large volumes of data (from internal & external sources) to answer the business needs by building applied mathematical models. They augment their Math or Statistics background with programming to explore and examine data to identify hidden patterns. Once the analysis is done, data scientists present the data in the form of a story to the key stakeholders. If the results get accepted, data scientists need to make sure that the work is automated so that the insights can be delivered to the business stakeholders on a daily, monthly or yearly basis. A data scientist’s analytics skills will be far more advanced than a data engineer’s analytics skills. In contrast, a data engineer’s programming skills are well beyond a data scientist’s programming skills. Data engineers, on the other hand, leverage advanced programming, distributed systems, and data pipelines skills to design, build, and arrange data to be cleaned for a data scientist to further process, using Java, Python, Scala, etc. 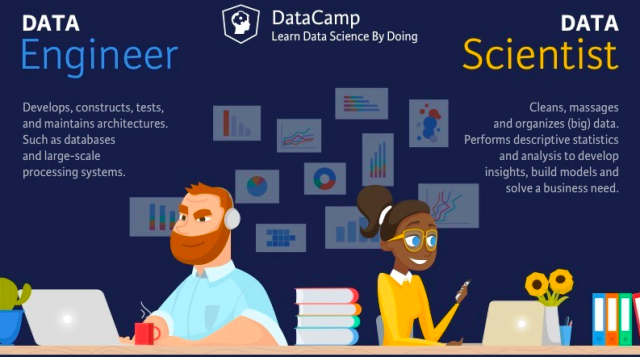 Data scientists employ advanced math and statistics, advanced analytics, and machine learning/AI skills to create the hypothesis, run tests, and analysis of the data, and then translate the results, using R, SAS, Python, etc. So You Want To Be A Data Scientist? Data analysts collect, process, and perform statistical analyses of data. Their skills may not be as advanced as data scientists (e.g. they may not be able to create new algorithms), but their goals are the same — to discover how data can be used to answer questions and solve problems. Read more about business analysts vs data analysts. Sources: 1, 2, 3, 4, 5, 6, 7. I am a Career Adviser & MS Admission Consultant. Additionally, I also manage online marketing at Stoodnt. 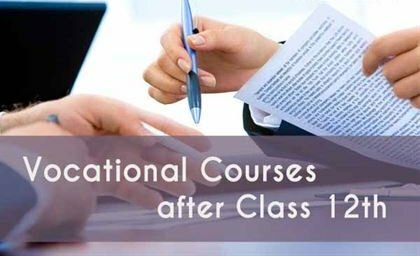 I did my Masters from the UK (Aston University) and have worked at the University of Oxford (UK), Utrecht University (Netherlands), University of New South Wales (Australia) and MeetUniversity (India).